Tenor: 10 cwt approx. in G.
Frame: 1759 John Foster of Egerton, made of timber. 1602 2nd and tenor (of 5) recast by Jospeh Hatch. 1717 4th (of 5) recast by John Waylett. 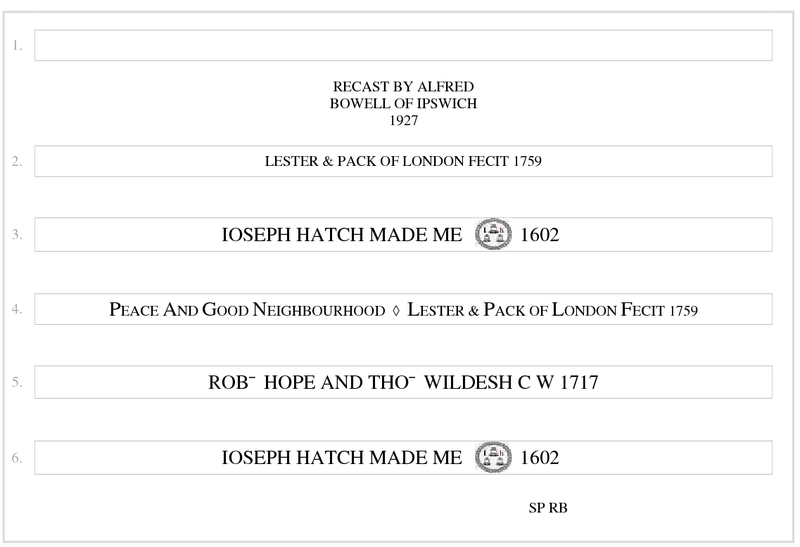 1759 Treble and 3rd (of 5) recast and treble added to make 6 by Lester & Pack. Bells rehung in a new timber frame by John Foster of Egerton. 1927 Bells rehung and treble recast by Alfred Bowell. 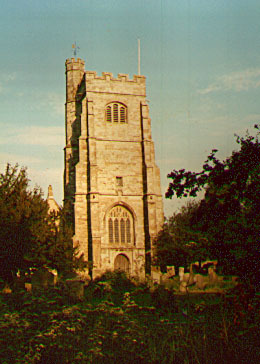 2003 Investigation of a radio mast installation led to the discovery of the bells having been rehung without anyone knowing, including the Diocese, as no faculty was obtained.